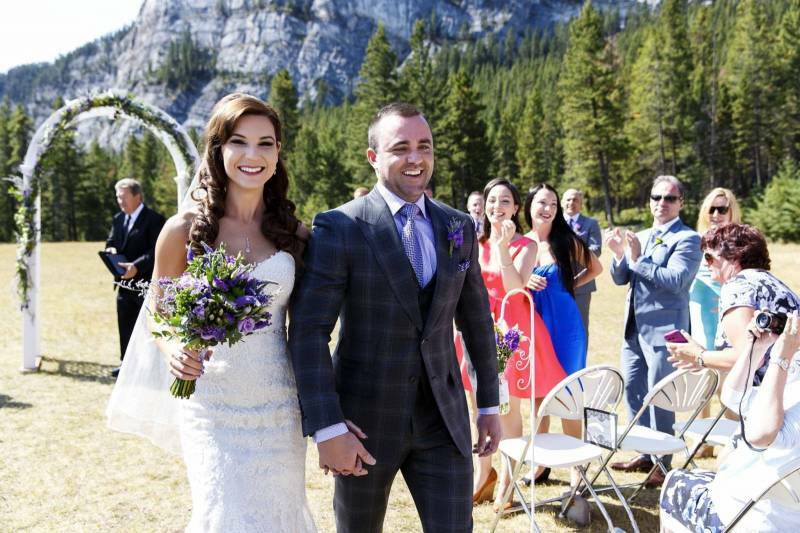 This Banff wedding was absolutely beautiful and I loved the beautiful shade of purple Melissa chose to accent the elegance of her wedding and work with the natural beauty of Tunnel Mountain. 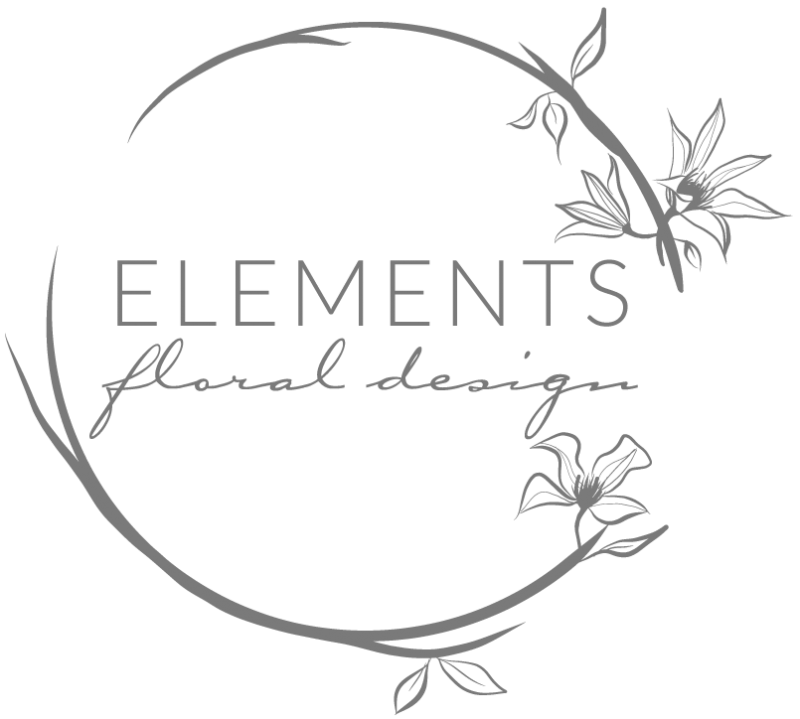 I helped her design this beautiful bouquet inspired by the natural beauty and wildflowers of the mountains. The bouquet was filled with colour, texture and gorgeous greenery! I also created a beautiful matching garland for the ceremony arch and the reception was decorated with natural feeling wildflowers and greenery. 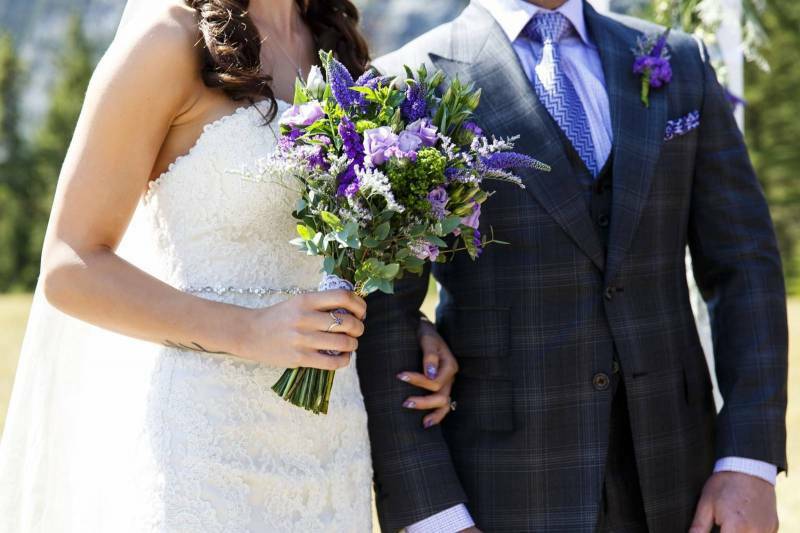 I was excited to see this beautiful wedding (and our bouquets) featured on Banff wedding blog, Love In The Rockies. It's always a treat to see our brides published in beautiful places!